Information about Active Transmission and Gear. Arvada and Broomfield area Transmission, Clutch, Differential, Transfer-Case, CV Axle, and Driveline repair and maintenance. Automatic Transmission rebuild, repair or replacement options. Take a look around at our Arvada and Broomfield locations. Protecting yourself when you’re in need of Transmission repair and maintenance. 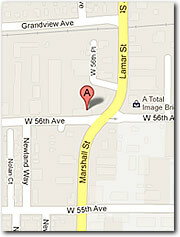 Maps to our Arvada and Broomfield locations. Want to reach us via the web, go here. Email and Contact form. Active Transmission and Gear Home page.